Here are five guiding questions (and answers) that help you afford a trip to Italy next year. When do you go? The price of airfare is a huge chunk of the overall cost for a trip across the pond. The most expensive time of year to travel to Italy is in the summer. During June through August, the price of airline tickets can be extremely inflated. If you are traveling from the West Coast of the U.S., you can save between $400 and $1,200 just by traveling during the early spring, or late fall. In addition, try traveling on a Tuesday, Wednesday, or Thursday. Those days are usually cheaper to fly. With those two variables (time of year, and day of the week), the price fluctuation is crazy, or rather, borderline insane! Lastly, to save money, fly into Rome’s Fiumicino airport (FCO). Because of taxes in other airports, you can often save another $200 to $400 by landing in Rome and taking a train to your city of interest. Where do you stay? When traveling, it seem everyone wants the adventure of a lifetime, but with all the comforts of home. From an American perspective this is very possible, but it’s also very expensive. If you can get past the idea that every hotel must come with a concierge and pool, you can find some great deals – if you know where to look. I suggest budget hotels and hostels. When traveling in the off-season you can find nice places to stay for around €60 per night, in the big cities, and €35 per night in some of the smaller towns. A lot of hotels and will offer a discount if you pay in cash. I often receive a 10% discount in cities like Rome, and Florence, when I pay in cash instead of with my visa. If you really are operating on a small budget, you can frequently find a hostel for around €20, or less, a night (depending on the city you are traveling to). I always start by looking at a good guidebook to see what cheap to mid-range hotels they recommend. From there I either book the recommended hotel, or look up the area around the hotel on Google maps to see what other hotels, hostels, or agriturismos are around. I often find something of interest, very quickly. Hotels and hostels are all often in the same neighborhood. If my budget is requires something cheaper still, I book a hostel on hostelworld.com. Booking a low cost hotel, or hostel, can save you hundreds of dollars on the lodging line item in your budget. I would recommend it. At the end of the day, you came to Italy to see Italy, not the amenities in your hotel room. How do you travel throughout the country? Traveling from city to city (within Italy) can be expensive. Some people choose to take the Eurostar, or fly commercial, and it costs them big bucks. While I typically do not fly from city to city, I do take a fast train around Italy when ever possible, but I plan my steps very carefully. The nicest, most reliable train system in Italy, is run by a private company called Italo. (I did a blog post on Italo last June, check it out if you haven’t read it.) If you purchase your tickets a few (two) days in advance, and travel in the early morning, or late afternoon, you can get a one-way ticket between €20 and €35, for most major destinations. It’s the best deal you will find! If you are traveling to smaller cities (not located on the fast rail line) the intercity national train tickets can costs as low as €8 per one-way ticket. This train is slow. But, it gives you time to plan the next leg of your trip, while absorbing the countryside along the way. What do you eat? Italians may, or may not, want to tell you this, but year after year there are thousands of tourists that pay top dollar for the worst Italian food imaginable in major tourist cities like Rome, Florence, Venice, etcetera. Most of the time it’s because tourists don’t know any better. There are hundreds of tourist traps that sell frozen, Italian TV style, dinners at between €10 to €15 a plate – they’re not worth more than €2. Food is tricky because you want to experience great Italian cuisine, but you don’t know exactly what to look for. To eat well at a low cost I recommend breaking meals down like this. Eat breakfast at the hotel (or hostel), make something for lunch, and go out for dinner. Most hotels, and hostels offer a free (or low cost) continental breakfast buffet. The coffee at the hotel buffets can be of poor quality. So, eat pastries at the hotel for breakfast, and go to a caffé bar for your coffee. For lunch, go a grocery store, get ingredients, and make an incredible sandwich (or panino, in Italian) for a little over €5. Then for dinner, choose a restaurant where you get an appetizer (antipasto, in Italian) and plate of pasta (primo piato, in Italian), for around €12. You don’t have to spend a fortune on food just to experience the Italian food culture. 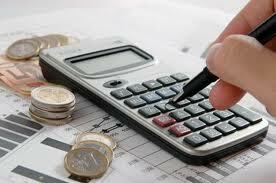 As always you can adjust to the size of your budget. How do I make time? I hear a lot of people who say “I would love to travel to Italy, but I can’t do it this year, maybe next year.“ Or, “when the kids are out of…” This type of thinking is really deceptive, because it becomes a self-fulfilling prophecy. So, don’t fall into this trap. The best thing to do is to put a date on the calendar for next year (or two, or three, years out) and start the planning process. You must be intentional about it, or it will likely never come to full fruition. How do you eat an elephant? Answer: one bite at a time. I answer each one of these questions before I leave on a trip, and it helps me build an affordable trip every time. If you have any money saving tricks of the trade you would like to share to help afford a trip to Italy, please leave them in the comment section below.